The late Duggan Weaver knew it was "nice to be nice." He spread that message for most of his adult life as an insurance agent, Sunday School teacher, Mason, Lion, Gideon and library supporter. His multitude of friends knew him in those ways. You might not know that Duggan served our country as a member of the US Navy for nearly four years. This is a little told story of Duggan Weaver and how the events of December 7 , 1941 changed his life forever. Here is his story in his own words of that fateful day, seventy two years ago this week. "I was working in Louisville, Kentucky living at the YMCA. I was across the street at Taylor's Drug Store drinking a cup of coffee; a boy came in and said the Japanese had attacked Pearl Harbor," Duggan recalled in an interview with Mac Fowler of the Laurens County Historical Society. "I thought he was kidding, but he said, "No". I thought some crazy nut had come by and dropped a bomb. I walked across the street to the Y and people were gathered all around listening to the radio. The news caused the hair on your arm to stand up! It was a day one will never forget." "The next day I went to work at Belknap Hardware Manufacturing Company. They distributed radios, which was very rare. Not many people had radios (especially in Dudley, Georgia. We didn't even have electricity in Laurens County). The company distributed radios all over to the place there were about 1500 employees. We listened to the news and everyone was afraid." "That night I went to the Navy Recruiting office and signed up for the Navy. I had been turned down by the Army before leaving Laurens County and placed in 4F. The Navy took me. If you were warm, I think they would take you. I left Louisville on the 19th of December 1941. They put me on a train to Great Lakes, Illinois. The Naval Training Station at Great Lakes was running over. They issued us a few clothes, I was there two or three days and they sent some of us to the Naval Pier in Chicago, Illinois. The Naval Pier was built some fifty years before the war. It had nothing to do with the Navy. The Navy had taken it over about six months before the war. It was going to be converted to a school to handle about eight thousand men, but it was not ready and we had a solid mess. They did not have the equipment to issue dog tags and other identification. Three weeks from that day, most men had been inoculated and they were sent to sea. 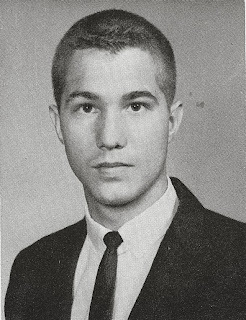 Sam Rundell, a fellow I had met there and I had the highest test grades and didn't go." "They sent us back to the Great Lakes and we slept in hammock in an Air Force hangar. Then they put us in a barracks and we went to school from 8:o'clock in the morning until 8 at night. I was in Quartermaster Signal School. The later part of June 1942, they sent us to Norfolk, Virginia to broad the Ship USS Merak. They took us to Cuba. Most of the outfit stayed in Cuba, but after a few days, they put me on another ship, USS Pollux, a brand new ship on it's first run. We went to Puerto Rica, Virgin Islands and left there and went to Trinidad to a PC Base. After two weeks, they sent us to downtown Trinidad, about a block from our Naval Headquarters." "I will never forget, we came into Key West and the Captain ordered and had me send a message "We need 150 bunches of bananas at least". We had about sixty monkeys plus some apes or whatever you call those bigger ones on board. They were for a wildlife preserve owned by one of the Roosevelts"
"The ship was loaded with we had smelted copper bars and palm oil out of Africa. It had been built to haul tung oil out of the orient. There was a fine crew on there. I loved everyone that I had anything to do with. They treated me like a King and they gave me my own room and bathroom. These Norwegians hated the Germans. This ship left Oslo, Norway, the day the Germans moved in." "I stayed at Key West two or three days and fussed with them and fussed them. I kept telling them that Carl Vinson was our Secretary of the Navy and he was from my District and that I was going to call him. I always tried to wear my hat square and be a good Navy man. I got into a lot of real situations that were real bad. One was that I couldn't even get on a Base and get any food. The Navy had a place there that I could sleep. After fussing, I got over the fence and got something to eat. I got a man to write me a note saying "Let this man in and out whenever he wants to," After about a few days, they put me on a ship, US Kansan and back to Trinidad. I stayed there two or three days. I had to carry my entire luggage plus a lot of signal equipment." " I left Trinidad and went back to Key West. After two or three days, they put me on a British ship,. We came to New York, then back to Guantanamo Bay. I was the only American on board. We had a strange kind of thing to happen. I would flash the lights and hoist the flag and things that the Commodore would tell me to do. There was always one American signalman on every ship regardless of what country it was from to tell the Captain of the Ship how the Navy wanted him to do. The Captain went ashore and came back laughing and said "Some man over there asked me about you being on this ship and said he'd give me every map of this whole area if I'd get you ashore." The British Captain went ashore (we had to buy our food). He came back and said that they had us down as being lost at sea for a week. The Captain and his ship were going to Nova Scotia, I told him, "Nobody's told me what to do, I don't know." The next morning, I was ready to go. We went up through the East River and there was a place there where we took on a new pilot. He said, "I expect you better get off. I don't know where we're going or what you're going to do." I got off and the Coast Guard got me and kept me all day under house arrest. I didn't have any ID; I didn't have any orders. They wanted to know why an American sailor was on a British ship. I could talk all day about that day! I told them I had heard of the Armed Guard Center over in Brooklyn. I was not in the Armed Guard, but I thought that's where I need to be. I called the Armed Guard Center and decided that's where I should be." I was born with a hernia; it was bad.. The Navy took me but standing all day long on those decks I was having a fit. I went to see a Dr. in Brooklyn and he told me, "Man, yeah you need to get something done about this." He sent me to the Brooklyn Navy Hospital. I got to come home to Dudley from the hospital and went back. The weather was horrible back to Brooklyn. It was January.. I had pneumonia and almost died.. I got back to Trinidad and they put me on the same ship, the Columbia. ans Army transport that they had named the Gen. Harry Rethers. I was in good shape there because they had an Army gun crew and we ran by ourselves. A few times, I put up a flag and answered airplanes or something like that. We went to British Guinea and Dutch Guinea. I was there for a few weeks and went back to Trinidad but I don't remember the name of the one I was on but it was a nice one. It was taken from Germany during World War I. They had cleaned it up and it was in A-1 shape. I got to New York and they told me I had plenty of time. I went over to the Signal Shack and I had plenty of points to go home, but we've got to have sailors, we have sent for sixty five today that had gone home. They assigned me to a tanker, the Axtel J. Byers. Our first trip was to Russia; British Isles, Scotland and we left there on my birthday, September 15, 1943. We lost nine ships, I didn't know if I would ever see Dudley again! Horrible! Horrible! I had seen ships blown up before but this was a terrible situation. We got back to New York and I thought they would let us go home. They sent us straight to Tampa, Florida for dry dock because this ship had been torpedoed before I had gotten on it. We had some Navy men on board, but I was responsible to the Merchant Captain. My job was to keep him happy. We got along fine. So I got to come home for two or three days. When I got back, we made two or three trips into the Mediterranean, three to the British Isles, five to Venezuela and eight or ten times to the Texas area" I was discharged September 14, 1945." Lass O. Moseley's vocations numbered in double digits. A master of many trades, Moseley, a former Laurens County man, became one of the most popular men in Atlanta in the mid 20th Century. At time or another, Moseley was a baseball player, congressional secretary, Army clerk, newspaper writer, radio station manager, Army officer, alderman, public relations officer, hotel manager, executive, tourism official and several other professions. And those were his day jobs. 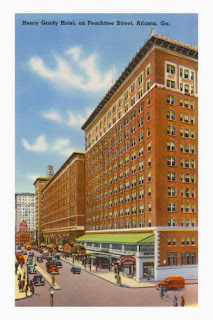 It would be as a manager of four of Atlanta's finest and most famous hotels that Lass O. Moseley would become a legend in Atlanta. Lass Olen Mosley was born on February 1, 1894 in Johnson County, Georgia. 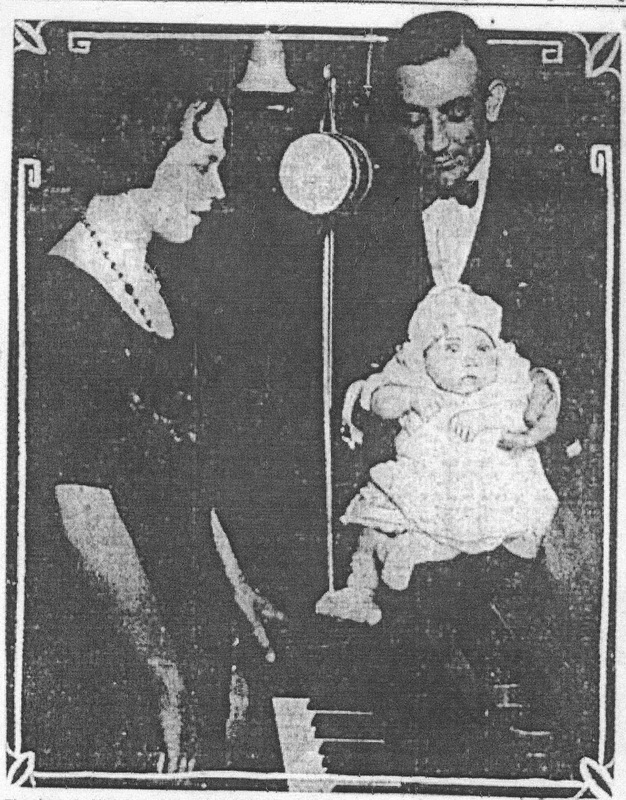 Little is known of the early years of this son of William Moseley and Effie Virginia Page Moseley, "Lasso," as his friends called him for short, spent part of his youth in Wrightsville and later in the southeastern corner of Laurens County in the county line community of Orianna. Lass Moseley was a pretty fair country pitcher in his youth. On August 5, 1912, Moseley faced fifteen batters from neighboring Rockledge The five-foot, six-inch tall, eighteen-year-old Orland pitcher, weighing in at 158 pounds, struck out fourteen batters without allowing a single ball to be hit into fair territory. Only two walks marred an otherwise perfect game. At the age of 19, a still young Moseley helped organize a Temperance Union in Orianna to drive out the illegal sellers of whiskey and other demonic alcoholic beverages. After attending Emory University, where he was inducted in the Pi Kappa Phi Honor Fraternity, Moseley accepted a position as the personal secretary of Congressman William Washington Larsen, Sr. of Dublin, Moseley served in that post until he entered the armed services during World War I.
Moseley, who desired to be a naval pilot in World War I, was assigned instead as Chief Clerk of the Adjutant General Department of the American Expeditionary Force. As an Army Field Clerk in France, Moseley received a citation from AEF Commander General John J. "Black Jack" Pershing for "Conspicuously meritorious and efficient service." In 1920, Moseley, a renowned expert on the history of the game of baseball, played ball for the Thomson, Georgia entry in "The Million Dollar League," a loosely organized, independent league made up of teams from the Southeast. Superstars like Cy Young and "Shoeless" Joe Jackson made the jump to this league during its heyday. Moseley, an avocational golfer scored a hole in one in 1936. Before leaving his position with Congressman Larsen, Moseley was elected in 1921 as the Secretary of the Kiwanis Club of Dublin, the city's first fraternal/civic club. He made his home in the capital city of Atlanta, a place more worthy of his immense personal talents. 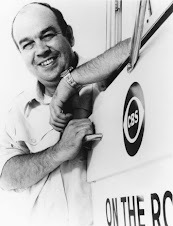 Moseley, who had worked on the short-lived Dublin Tribune, took a position with the Atlanta Constitution, sometimes appearing as a writer, but primarily as Program Manager of the newspaper's radio station, WGM. WGM followed quickly on the heels of WSB, which was owned by the Atlanta Journal, a competitor of the Constitution in those days. 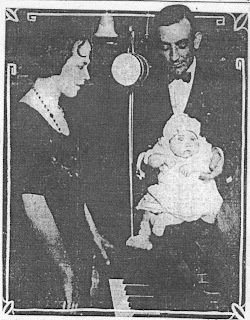 When Mr. and Mrs. George Pollock of Atlanta were trying to decide the name of their new boy, they chose William Grady Moseley, whose initials spelled the call letters of their favorite radio station. In the process they honored Moseley, who transformed the whole event into a photo opportunity to promote the station. WGM went out of business within a year. Its owners donated the tower and equipment to Georgia Tech, leading the way for the university to take over broadcasting programs. Today, WGM, the second radio station in Georgia and one of the first in the South, operates under the call letters of WGST. After moving to Atlanta, Moseley returned to the Armed Forces, joining the 122nd Infantry Regiment of the Georgia National Guard as a Captain. Moseley served in the Guard until the early 1930s. In 1927, Gov. L.G. Hardman named Moseley as an Aide de Camp and Colonel on his personal staff, an honorary position assigned to the closest friends and supporters of Georgia governors in the 20th Century. 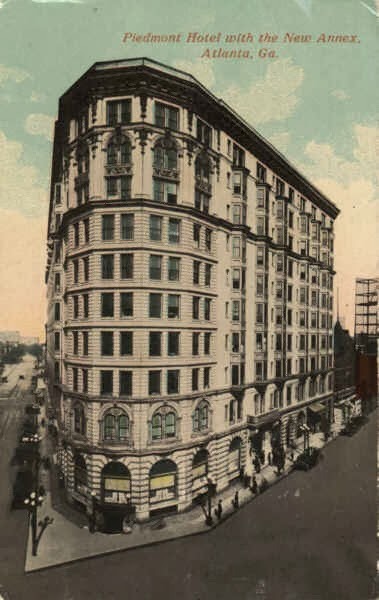 Lass Moseley left the Atlanta Constitution in 1927 to accept a position as the Public Relations Officer of the Dinkler Hotel chain in Atlanta. 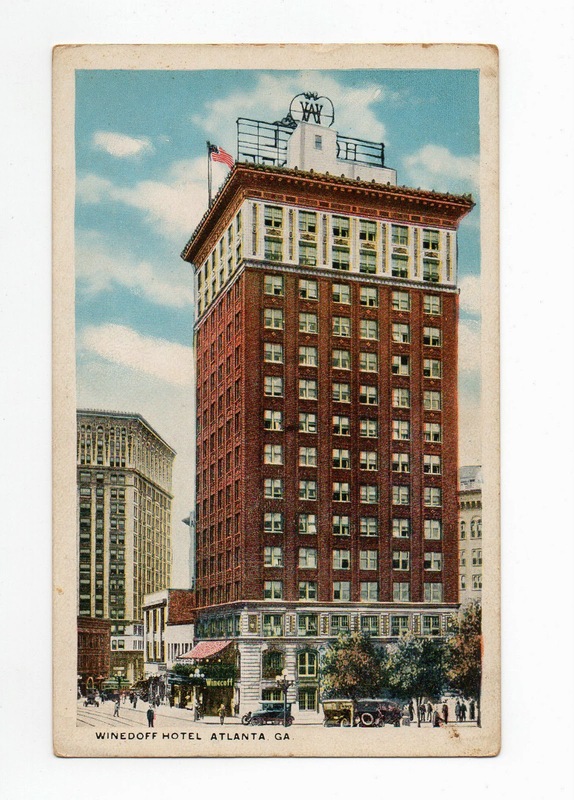 He soon became the manager of the Ansley, one of the South's most popular hotels. Within six years, the popular hostelry manager was chosen by his Georgia colleagues as President of the Georgia Hotel Men's Association. Four years later in1937, the hotel managers of Atlanta selected him to lead their organization. During his tenure with the twelve story Ansley Hotel, Moseley was elected as an alderman to represent the 6th District on the Atlanta City Council. His supporters urged that he be named as Chief of Police following his short term on the council. 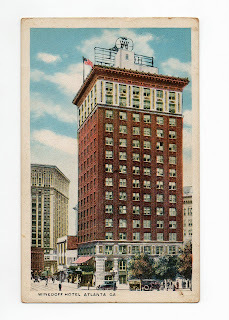 In 1932, the owners of Piedmont Hotel hired Moseley to help manage their "New York" style hotel, which covered an entire city block. After two years at the Piedmont, Moseley began a decade long tenure as the manager of the Winecoff Hotel. As manager of the Winecoff, Moseley was often called upon to help promote tourism in the city and in the state of Georgia as a whole. On the fifth anniversary of the beginning of World War II and some two years after Moseley left the Winecoff, the grand building burned, killing 119 people in still the country's most fatal hotel fire. 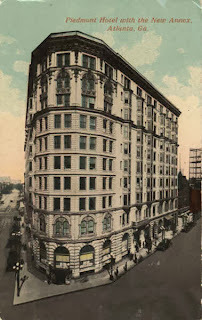 Moseley left the Winecoff to manage the Henry Grady Hotel, whose Paradise Room was called the "Showplace of the South." The Henry Grady, a top gathering spot for Georgia politicos for decades, was built on the site of a former Georgia governor's mansion. Moseley managed the Grady Hotel until the mid 1950s. 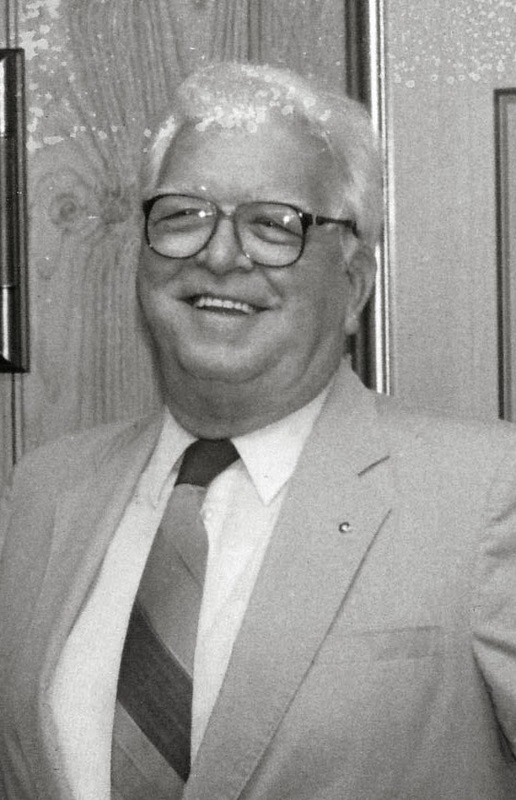 He was often called upon by Georgia governors to serve on committees dealing with tourism in the state, heading one such organization in 1945. In the early 50s he was on a committee to explore the future use of Jekyll Island. Lass O. Mosley died on February 12, 1962 in Atlanta, which was richer for his forty years of service to the capital city. Pete Tyre never set out to be a savior of lives when he studied about Jesus during Royal Ambassadors meetings at the Baptist Church. He never dreamed of trampling through deadly Asian jungles while he was camping out with the Boy Scouts and hunting with his father in the woods around Laurens County. Pete never pondered of being in the middle of highly intense and deadly firefights when he was standing on the sidelines of Battle Field while his teammates won game after game. All of that changed when Pete Tyre joined the United States Navy after high school. Those of you who know William Craig "Pete"Tyre, know him as an arrowhead hunting, joke telling, fun loving, music afficionado. Some of you may know that he is a nurse, who spent four decades in the health care field. Most of you don't know that nearly a half century ago, it was Pete Tyre's job to follow the Marines of the 1st Marine Division through the jungles of South Vietnam. When a Marine fell, Tyre was there to pick him up, stop the bleeding and keep him comfortable until help could arrive. He can't tell you how many lives he did save. To this very day he thinks more about the lives of Marines that he wasn't able to save. In high school, Pete, the son of Bill and Evelyn Tyre, played football on Coach Minton Williams' state championship team. Although he only played in a couple of games, Pete persevered, staying with the team and never missing a practice. Pete, his classmates nicknamed him "Rim," had so much fun that inscribed under his senior yearbook picture is the phrase, "If having fun was a crime, he would be having a life sentence." "When I was 18, I was naive and thought I was a world traveler," said Tyre. His mother wanted him to go to college. Tyre, who joined the Navy instead, was swiftly taken through new recruit processing. One day, after very little sleep and no showers, Pete and his buddies were forced to undergo a rapid fire, intense battery of tests while standing at a podium with a single light bulb hanging over their heads. As the instructor screamed at Pete, he was so tired and frustrated that he simply gave random answers to the multiple choice questions. Scoring near the bottom of his group, Pete was the only one not to get an assignment to a special school. He was sent to Point Mugu Naval Air Station in California. "I had never heard of it. I had heard of Mr. Magoo, so I had to get a map to find it," Tyre chuckled. After six weeks in his first assignment as a janitor at the air station, Pete because so frustrated that he kicked a bucket of dirty, soapy water, unaware that a boatswain's mate was watching him. The supervisor escorted Pete to a psychiatrist's office at the dispensary. "He asked me if I would like to be a corpsman, to which I responded 'What is a corpsman?" Pete recalled how he was unexpectedly set on a course that would define his career in the Navy and his adult life. Pete returned to his cleaning duties, but this time he was assigned to a medical unit. Eventually, opportunities to perform medical duties and take courses came. Tyre loved his new role, making straight "A"s.
After Point Mugu, there were a series of assignments at a Hospital Corps School in San Diego and another in Pensacola in an eye surgery unit. In his early days in the Navy, liberties in Hollywood, watching San Diego Chargers games from the post and going to the San Diego Zoo were a welcome diversion from rigorous training courses. Another major life altering change came when Pete was sent to Marine combat training at Camp Lejeune and Parris Island for advanced medical field training. 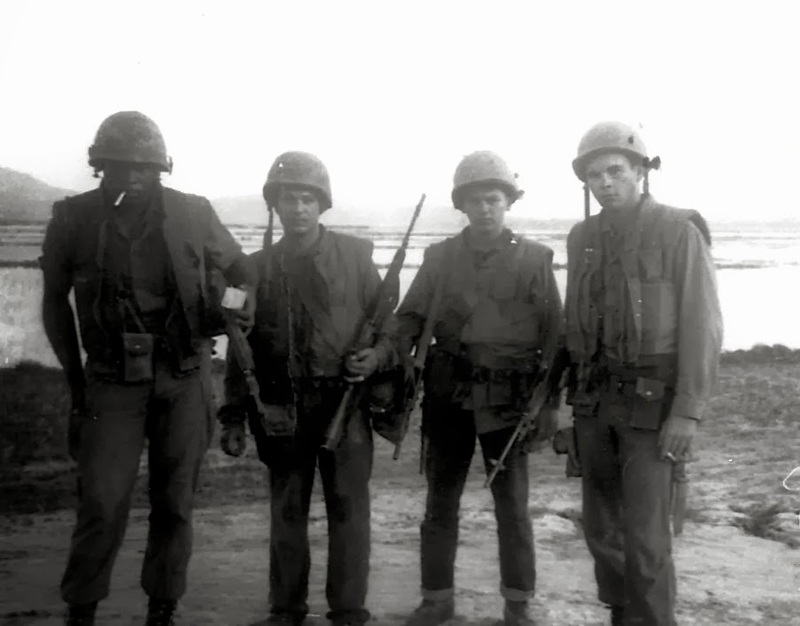 After short stints back in California and in Okinawa, Pete was whisked off to DaNang, South Vietnam. Assigned to the thirty- man 2nd Platoon, Lima Company, 7th Marine Regiment, 3rd Battalion, 1st Marine Division, it was the new corpsman's job to go along on day time patrols, night time ambushes and sweep and destroy missions. "It was my job to protect the Marines. They protected me a lot, because they needed me to help them when they were sick or injured," Pete asserted. "It bothers me to this day that the South Vietnamese villagers were caught in between us and the Viet Cong," said Tyre, who tried to help the villagers he came upon. "When the Viet Cong found out we helped the people in the villages, they would burn their houses, take their supplies, eat their food and sometimes kill the women and the children there. War is so horrible, especially the collateral damage to the children. I don't like to talk about that part of it, I get too emotional about it," Tyre lamented. There was little time for fun. In his 14 months in Vietnam in 1966 and 1967, Tyre had five days of R&R, one time going 41 days without a bath or taking his boots off. After missing his mother's home cooking, Pete Tyre went from 125 pounds down to 100 pounds. Most of his time in Vietnam was spent in the field with little time for fun, and Pete always loves to have fun. He missed not having iced cold drinks, forced instead to put iodine tablets in his canteen to keep from getting sick from stream and well water. 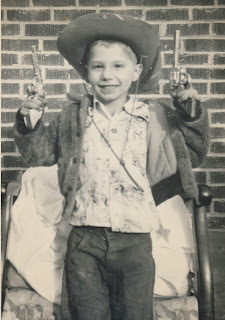 A life long music lover, Pete heard very little music except during a camp sing a long, or when his sergeant would sing every Lefty Frizzell song he ever heard. He does remember the first song he heard as he was getting ready to come home, "Let's Get Stoned" by fellow Georgian Ray Charles. He can still tell you most of the lyrics to that classic song. Life in the jungles was constant chaos, Pete will tell you. There would be 2-3 weeks of nothing and then a rapid fire fight. He welcomed the choppers and the fighter jets which got Pete and his platoon out of hot situations. There was always the threats of booby traps, snipers, and even children firing at them. "I was scared all the time, I was no hero," Pete admitted. Tyre and other corpsman carried weapons to keep the enemy from believing that he was an officer or a corpsman. He also carried a heavy pack of medical supplies and helped out the BAR carrier's ammo. There were sometimes when Pete had to improvise. He found out that cellophane wrapping from cigarette packs made an excellent tool in preventing oxygen from seeping into sucking chest wounds. "It was amazing that the cellophane would stop the air from getting into the wounds. I can't say that I saved a lot of lives that way, but a lot of men were still alive when they were airlifted back to a field hospital," recalled Tyre. It was a long time ago that Pete Tyre quit trying to figure out why he, with no family, was saved, while others with a wife and children were not so lucky. "God looked after me. I was blessed and I don't deserve it," he laments. "It was good for me and it helped me in more ways than I can count," said Tyre, who firmly believes that his time as a corpsman in Vietnam made him apply himself and become a better man. Upon his return from Vietnam, Pete was still not sure what his next mission would be. He began working at J.P. Stevens, but soon decided that he could do so much more in his life. 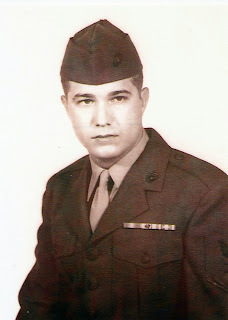 Using the GI Bill to take courses in medical studies, Tyre eventually obtained a Master's Degree in Nursing from the Medical College of Georgia. He worked at Claxton Hospital in Dublin and later at hospitals in Statesboro and Americus, before beginning a career with the Veterans Administration, first in Augusta and then in Dublin for more than a dozen years. "I took a job with the prison system in Florida and one time I visited the prison where the movie 'Cool Hand Luke' was filmed. Now that was cool," Pete fondly exclaimed! After four decades in the health care field, Pete retired in 2003 and soon returned home to Dublin. Today, Pete Tyre looks back on his days in Vietnam. Not one to talk about the terrible times during the war, he points to his days of training as a Royal Ambassador for Christ, a Boy Scout, and a Dublin Irish football player or the grand times he spent in the woods around Brewton, Georgia, where his father taught him how to hunt, fish and survive in the woods with getting him through the war. More directly, he points primarily to God and ironically to his movie hero. Tyre, an ardent admirer of Steve McQueen, often pretended that he was in a movie, thinking that it was the other guy who was going to get hit and not himself as a way of getting through the sporadic chaos and that helpless feeling grinding his soul when he couldn't save one of the Marines. Serendipity still seems to follow Pete Tyre where ever he goes. The lessons he learned in Vietnam continue to save lives. Back in the summer, Pete came upon an automobile accident. He quickly exited his car and ran to a badly damaged vehicle. He saw a woman pinned inside. Unable to open any door, Tyre broke a window and climbed in. Instinctively, he pulled his shirt off and used it as a tourniquet. To keep his patient from going into shock, Pete kept the pressure on the wound, held her head up and kept consoling the wounded lady by repeating that she was going to make it. "When the EMTs got there, I told them what I had done. I got some alcohol and washed my hands, got back in my car and left the scene" Tyre stated, humbly believing that it was his training in Vietnam which helped him to save the life of a stranger. And so goes the life of the serendipitous savior, Pete Tyre.